Over seven years ago, I decided to approach my mother to apologize for my disrespectful behavior toward her when I was seventeen. I wanted to tell her how sorry I was. As I spoke with her, the Spirit came over me, and I cried. My mother forgave me and said she should be asking my forgiveness. Through this process of humbling myself, I felt that same feeling I get when I repent. It’s a feeling of being cleansed. I feel lighter. A burden is lifted away with the help of the Savior. When I’ve spoken with other people on my list to make amends, that same feeling of peace has come over me. Each of them said either they should be asking my forgiveness or I had nothing to be forgiven for. Being reconciled with others gives me a clean slate to work on. It is such a wonderful feeling of peace. When I have seen these people again, the feeling of love and friendship is there, replacing old feelings of regret, embarrassment, or failure. The Savior’s power to heal us is real. Will You Take The Opportunity? 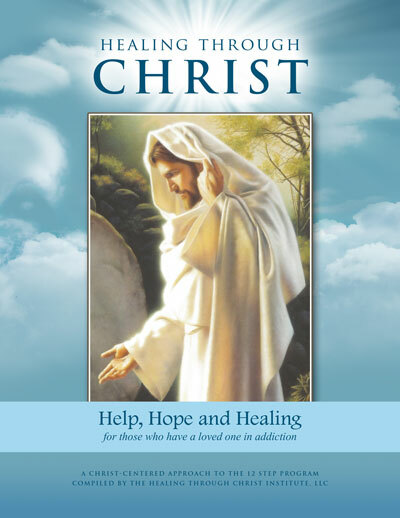 This week both the ARP and Healing Through Christ programs in Michigan will be on Step One. With this rare alignment we would like to present a unique opportunity. Can you think of something, a habit or activity in your life you would like to change? Would you be willing to work together with others in your group meeting on this challenge? There is no need to tell what you would like to be different, but we can encourage each other as we share about the experience of using the Lord’s Atonement to make this change in our personal lives.